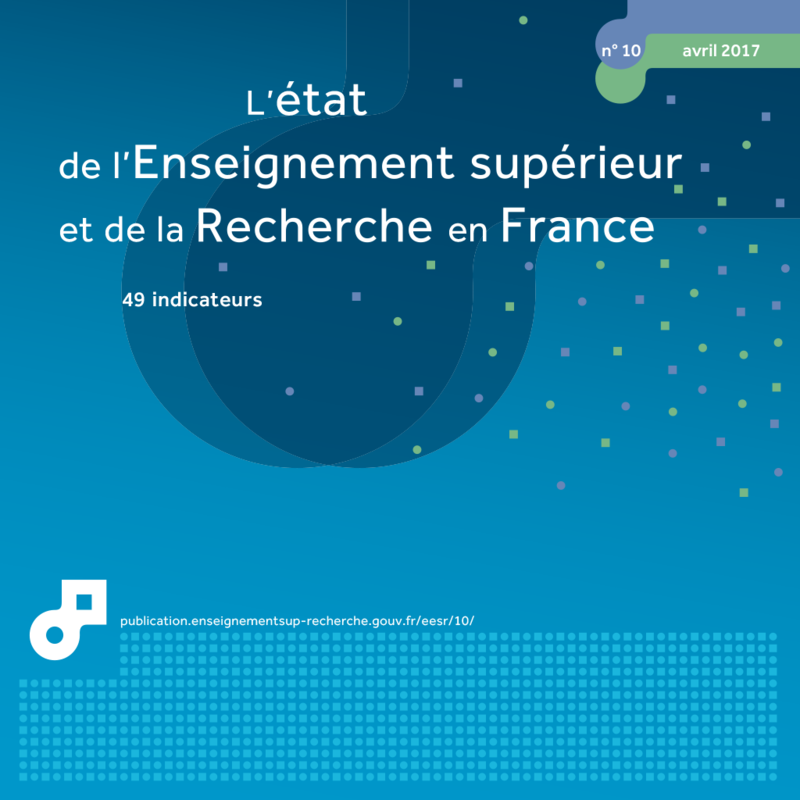  Coverage:students enrolled for the 2015-2016 academic year in universities (whole France), schools of engineering, business and culture, Advanced technician's sections (STS) and classes preparing for admission to Grandes Écoles (CPGE). The eighth edition of the Student Living Conditions survey was conducted by the National Observatory of Student Life (OVE) in spring 2016. One student in ten on average was invited, by letter, to answer a questionnaire on the Internet. The gross response rate was 25.6% with the participation of nearly 60,700 students. The results are based on the analysis of 46,340 questionnaires filled in entirely by students in a study programme at the time of the survey. To improve representativeness, raw data has been weighted with reference to data centralised by the statistical departments of the relevant ministries on actual enrolments in the institutions. The surveys thus represented 2,154,392 students enrolled in the 2015-16 academic year in universities, engineering, business and culture schools or in upper classes of public upper secondary schools of the Ministry of National Education, Higher Education and Research (i.e. 84% of the student population in France). Students’ schedules vary mainly according to the study programme. Selective study programmes are those with both the highest number of hours spent on taught studies per week and the most time devoted to personal study. The personal study time increases with the level of the studies, whilst there are fewer hours spent on taught studies. Students’ time budget will also change if they have a paid activity. The time set aside for taught studies (lectures and tutorials) and personal study is spread unevenly according to the type and the level of study (chart 16.01). On average, excluding students in post-graduate programmes, students state that they attend nineteen hours of classes every week. More time is devoted to taught studies for undergraduates in selective study programmes with extensive educational supervision and a restricted number of students. Among these, the classes preparing for admission to the grandes écoles (CPGE) have a very high number of taught studies (34 hours a week), followed by the University Institutes of Technology (IUT) and Higher Technical Sections (STS). The personal study time also varies with the study programme. There are several configurations when considering courses attendance time. One category includes fields of studies where the personal study time markedly longer that the time devoted to taught studies. This applies especially to healthcare, where students spend 31 hours a week on average on personal study (for fifteen hours of taught courses). Although not as time consumming, schedules in schools of art and culture follow the same pattern. Among sectors demanding fairly much personal study time, the students at CPGE have the most intensive study schedules, with 21 hours a week set aside for personal study added to the 34 hours of taught studies a week. The average time spent on study related activities also depends on the study cycle: as the level of study increases, there are fewer hours of taught studies and more and more time is left for personal study (chart 16.02). At Bachelor degree level, study time is arranged around supervised courses hours (twenty hours a week on average) with less time set aside for personal study (fourteen hours a week on average). For Master’s programmes, there is a balance between taught studies and individual study time, as students spend seventeen hours a week on average in courses and sixteen hours studying by themselves. Lastly, post-graduate students only spend nine hours a week in courses, whereas personal study time takes up twenty hours a week on average. Nearly 40% of all students state that they are satisfied or very satisfied with the organisation of their studies and their schedules. Nevertheless, students with the most taught study timeare those whishing the most to spend less time on this activity (23% of IUT students, 26% of CPGE students and 28% of STS students) (table 16.03). On the opposite, the students with the fewest taught study hours are those whishing the most to have more taught study time. Nearly half the students (45%) state that they would like to spend more time on personal study. Here also, the students spending the least time on personal study state the most that they would like to spend more time on this. Lastly, nearly 15% of all students say that they are unable to attend certain classes (chart 16.04). The main reason given is that they are holding down a paid activityb whilst studying (6.2% of students) followed by overlapping courses (4.2%). Having a paid activityb alters student schedules significantly: when they are working as well as studying (46% of all students), the students declare two taught study hours and two personal study hours less on average per week. CPGE students spend on average 34 hours a week on taught studies (lectures, tutorials, practicals).  Coverage: students enrolled for the 2015-2016 academic year in universities (whole France), schools of engineering, business and culture, Advanced technician's sections (STS) and classes preparing for admission to Grandes Écoles (CPGE). Students at Bachelor degree level spend on average 20 hours a week on taught studies (lectures, tutorials, practicals). 55% of students studying Litterature, Languages, Human and Social Sciences would like to spend more time on personal study. 6.2% of students that they have been unable to attend certain classes as they were involved in a paid activity.